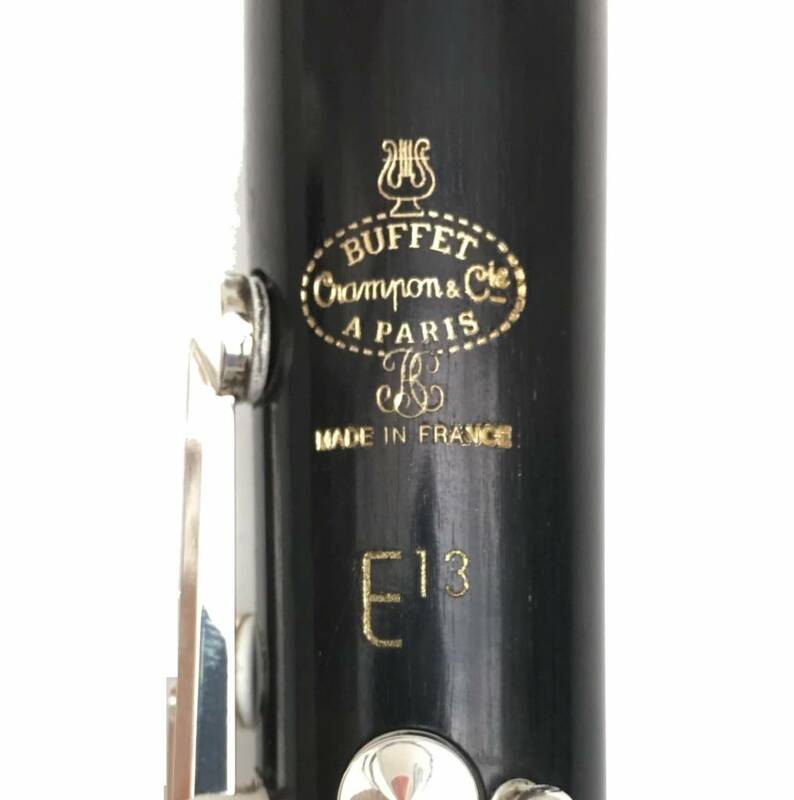 The name E13 is legendary for a clarinet that has never changed in 40 years. With its origins in the BC20 – the clarinet played by Jacques Lancelot – the E13 has accompanied amateurs and advanced musicians to conservatories, music schools and wind orchestras the world over. Made from the best pieces of Mozambican grenadilla wood and assembled in the brand’s own workshops, this clarinet has all the technical characteristics of the professional line: silver keywork and plating, blue steel springs, screwed-in pillars, threaded screws and natural cork lining the joints. Already equipped with leather pads in January 2015, the E13 has now inherited the completely new bell of sister clarinet, the RC (cf. Robert Carrée), which gives more projection and brightness no matter what the range or tone. The low F key adjustment screw allows a finer control of the resulting action implemented by its lever.